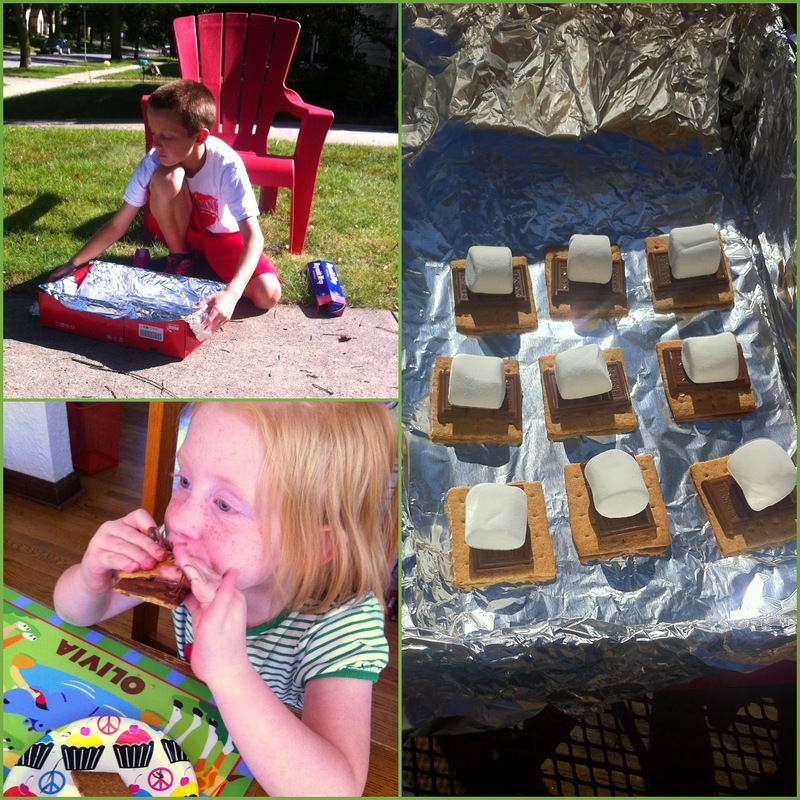 I'm not much of a camper, so my kids do not get as much access to s'more-eating as they would like. I had this project on the summer list and it came in handy yesterday when I did something to my neck making it impossible to drive anywhere (or do much at home either). Thank goodness for having a big kid to handle the construction of our solar oven. The chocolate melted more than the marshmallows, but they were still yummy (I'm kicking myself at not getting an after pic of Livie...she was a hot mess!). They were definitely a hit!